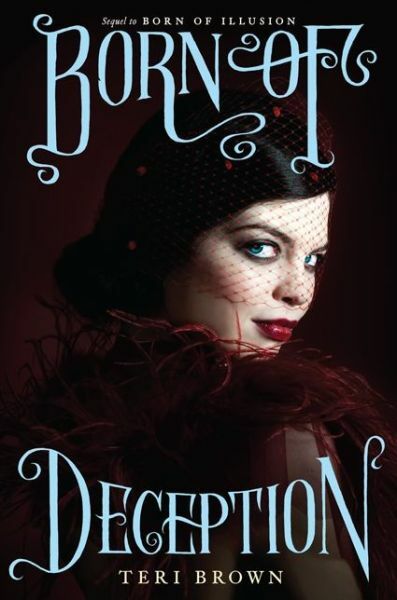 This sequel to Born of Illusion finds magician and psychic Anna van Housen (possibly Harry Houdini’s illegitimate daughter) in danger across the pond. THE PLOT: Anna has moved to London to be with boyfriend Cole, tour Europe performing her magic act, and possibly work with the society of “sensitives.” She’s not too sure about the society, which seems to be in chaos. Then there’s a murder, Anna is the target of psychic attacks, she and Cole seem to be drifting apart, there’s a new cute guy, and, worst of all, Anna’s mother comes to visit. MY TWO CENTS: I read book 1, Born of Illusion, in August 2013. I didn’t retain lots of details from that book, but I still enjoyed this one. I would say if you haven’t read that one, you really should to get a true picture of Anna’s background and the start of her relationship with Cole. However, I think the mystery in this book is enjoyable even if you didn’t read Illusion first. BOTTOM LINE: Fans of the first book may be really annoyed at Cole in this book, but Anna is still a captivating and sympathetic heroine. You want to see her succeed and be happy, no matter what twists and turns her life path takes. Fans of supernatural YA who are sick of vampires and angels should give this one a try. TEACUP RATING: Between three-and-a-half and four teacups. It certainly keeps you reading, but may not be as memorable as other YA series. Nevertheless, I’m hoping there’s another book in the series. ON SALE DATE: Born of Deception will be available in hardcover and e-book formats on June 10, 2014. Note: Review is based on an ARC provided by the publisher via Edelweiss in exchange for an honest review.